The following notes come from “Youth Violence: Theory, Prevention, and Intervention” by Kathryn Seifert, which I read before participating in the SAVRY (Structured Assessment of Violence Risk in Youth). There are two types of violence, instrumental and reactive violence. The goal of instrumental violence is to achieve a goal where reactive violence is in response to a situation. Risk factors: high levels of conflict in the family, community and cultural norms that encourage violence, racial and sexual norms that preclude individual from participating in society. 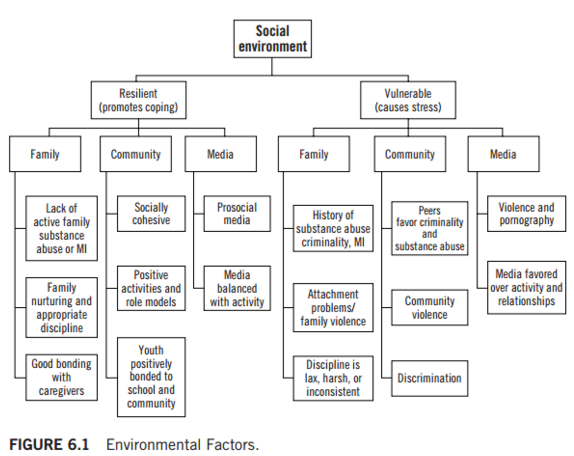 Cite this article as: MacDonald, D.K., (2016), "Youth Violence Assessment and Prevention," retrieved on April 20, 2019 from http://dustinkmacdonald.com/youth-violence-assessment-and-prevention/. This entry was posted in Human Services and Nonprofit Management and tagged assessment, counselling, risk factors, violence risk assessment, youth. Bookmark the permalink.